I was inspired by my success with the Rosca last week to try other fruit breads. There are several to choose from, of course, the most famous (infamous?) 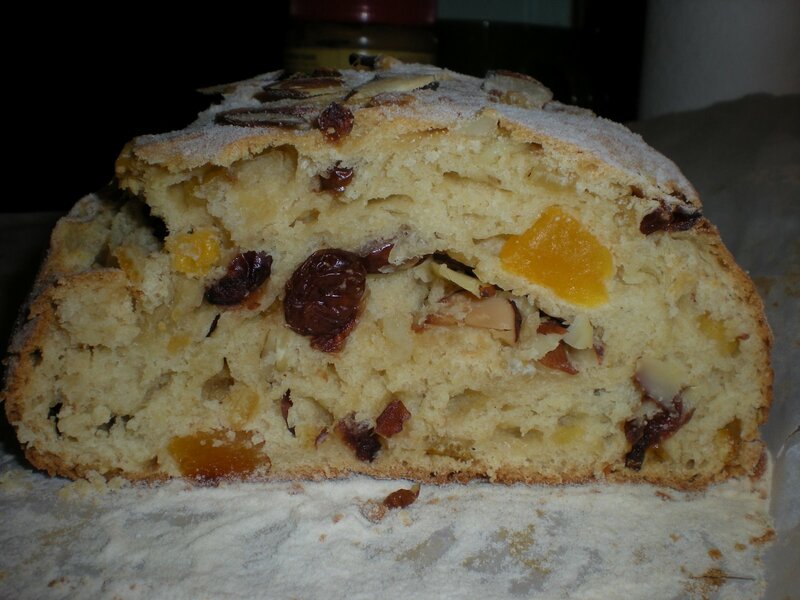 being fruitcake, as well as galette des rois, king cake, panettone, and many more. 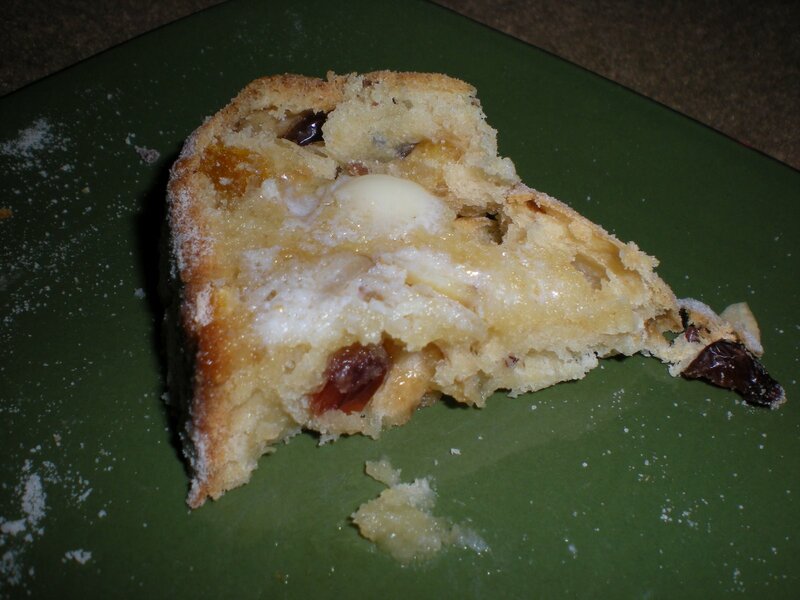 I have decided to try Stollen. 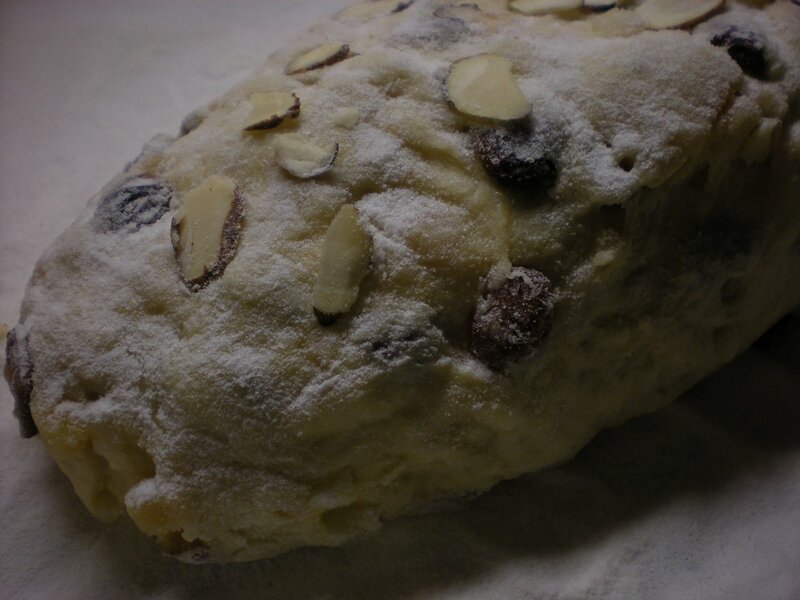 Stollen has German and Scandinavian roots. While I’m not sure how authentic the recipe I’m using is, I am willing to give it a shot and see how it turns out and most importantly, how it differs from the Rosca de Reyes, even while using basically the same ingredient list. However, gentle reader, you will have to wait because while the most recent attempt was tasty, there are some things I want to tweak about it. Also I think I forgot a half cup of flour so the dough was really sticky. Also I have a ton of candied fruit from the Rosca that I need to get rid of. So instead, I will lure you in with pictures. 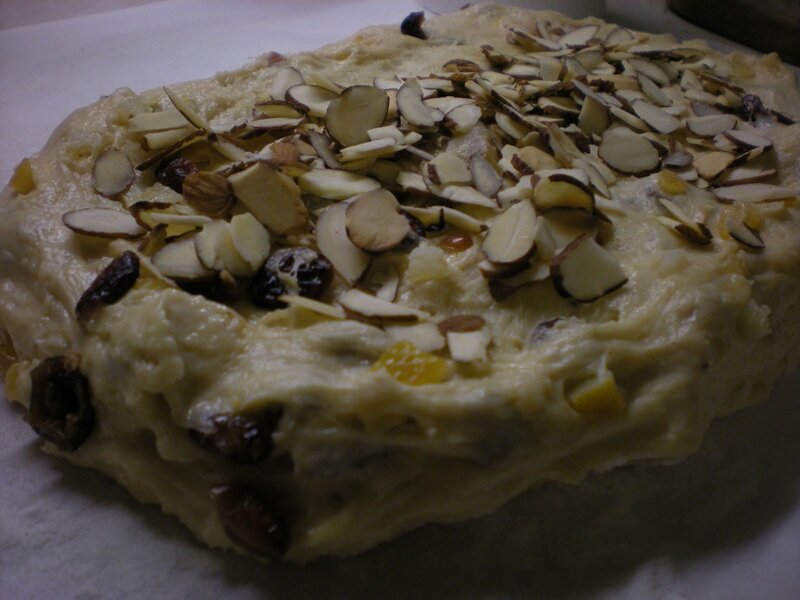 actually, unlike the Rosca recipe, this stollen recipe only calls for 1/2 cup of milk, one tablespoon of sugar and one egg. The fruit is mostly dried fruit, and while the top looks like it’s dusted with powdered sugar, it’s actually just rice flour.